Do you invest in online marketing? How to make a return on marketing. Do you invest in online marketing? Let me ask you an important question: Do you invest in online marketing? In the bad old days when accountants ruled the world they would label marketing as a cost, something to be kept as low as possible. But these days it’s far more important to see things differently. With the measurement tools we have available to us we should be able to closely monitor the cost and then the benefits of what we spend on marketing. And in the online marketing game it’s easier than ever to do this. A simple example is putting a call tracking number on your website. This way you’ll know that calls to that number can only have come as a result of the caller seeing your website. Thus you can work out the numbers of people who call you against the numbers of people who see your website. Now some of the beancounters might see the cost of a call tracking number as unnecessary but this kind of monitoring tool is vital to making sure that your marketing is properly doing its job. In the bad old days of advertising many companies would put adverts in newspapers or magazines, develop radio adverts, and some would even advertise on television. Smaller businesses would look to do some networking, mailshots, local advertising or telemarketing campaigns. The problem with these approaches is that they were mass marketing methods. The thinking behind them was that if you reach enough people you will reach sufficient numbers in your target market to make the marketing worthwhile. It was simply a numbers game. Most sensible marketeers developed metrics to work out if any of their marketing campaigns developed a response. This means that if they spent X thousand pounds on a particular marketing method then they would get X number of clients all calls in response. And this method is still quite common today. However, many businesses still see marketing as a cost rather than an investment because they don’t analyse their return accurately enough. This means that people spend money on marketing methods and have some idea that their marketing methods get a result but normally have little or no idea whether that result is a profitable one. The reason why I asked whether you invest in online marketing is that, even today, far too many people see marketing as an expense rather than investment. A very good example of measurable return on investment is social media where it’s very easy to spend loads of time and effort supposedly promoting your business. The big problem here is that it’s often very difficult to work out the return when you invest in online marketing (and social media is the worst for this), because time does cost money. Far too many business owners see the time spent on social media and online marketing as wasted, and thus an expense rather than an investment. One of the reasons why social media is often not as effective as it could be for many businesses is because they are using the media in the wrong way or simply using the wrong social media for their target market. You can read more in this article on social media marketing for business. One of the keys in measuring return from what you do in social media is to keep an accurate diary of how much time you spend writing through social media. If then after, say, six weeks of spending 10 minutes a day you pick up a new client through your efforts on social media (and it’s vital that you find out how every single new client came to you) you can then look at whether the value of that client was worth the cost of the time you spend on it. And this needs to be done with all marketing. You should be measuring your response rates and the profitability of that marketing effort on every single client. E-mail marketing is a much easier method to monitor because you can easily track click through rates using the right software. This way you can see how many people (and often which ones) have clicked through all responded in some way to your e-mail. And if some of them become clients you can then accurately measure the response and potential profitability all e-mail marketing. But let me give you a simple, but very common, example of where marketing spend is badly misunderstood. Imagine that your business sells cameras at £100 each. And each of those cameras costs you £80, giving you a gross profit margin of £20 per camera. And let’s say that we embark on a pay per click campaign and spend £200. Because you monitor response rates we’ve worked out that this specific campaign sold 5 cameras, Turning over £500 in your business. So we sit there thinking “Hooray, we’ve turned £200 into £500, isn’t that great?”. And some might think that would be a good return. But let’s dig a little deeper. Each of those cameras gave you a profit of £20 and five of them gives you a gross profit on all of those sales of £100. The advert cost you £200 so the net result of that particular marketing effort is a loss of £100. And this doesn’t even take into account the other costs involved in running your business which will further eat away at that margin. Doesn’t sound like such a great investment now, does it? So, the upshot is this: whenever you spend time and money on marketing you need to think about this key phrase: what is my route to return on investment in this marketing? 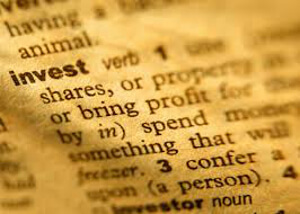 Investment should always provide a profitable return and marketing should be no exception. Unless you focus on return on investment, and that return it needs to be measured against profitability and not turnover, then you will never truly be able to invest in marketing. Particularly when you look to invest in online marketing where the metrics can be a little more difficult to measure. But the good news is that if you adopt a more detailed and scientific approach to your marketing (all of it) you should never be in a position where your marketing spend is anything other than an investment which provides a profitable return.